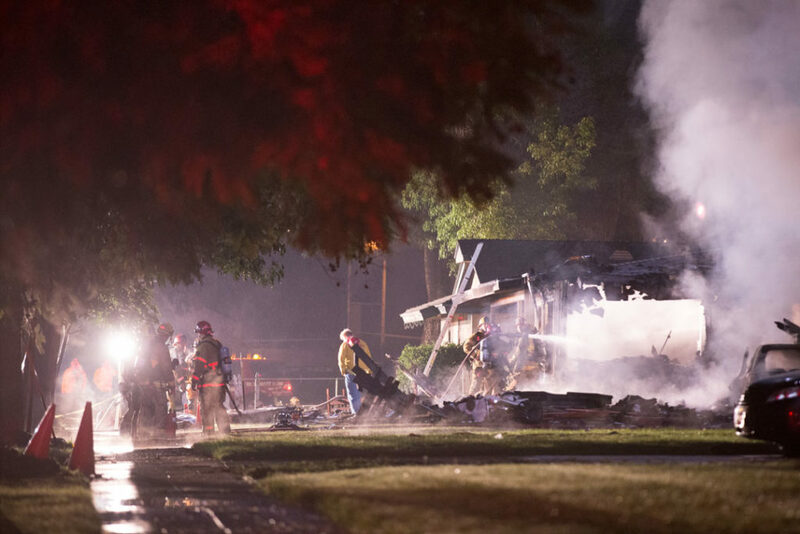 A twin-engine plane crashed into a Riverside neighborhood on Monday evening, resulting in three casualties, two injuries and the destruction of two homes. Reports of what felt like an earthquake came to the Riverside Police Department around 4:50 p.m. 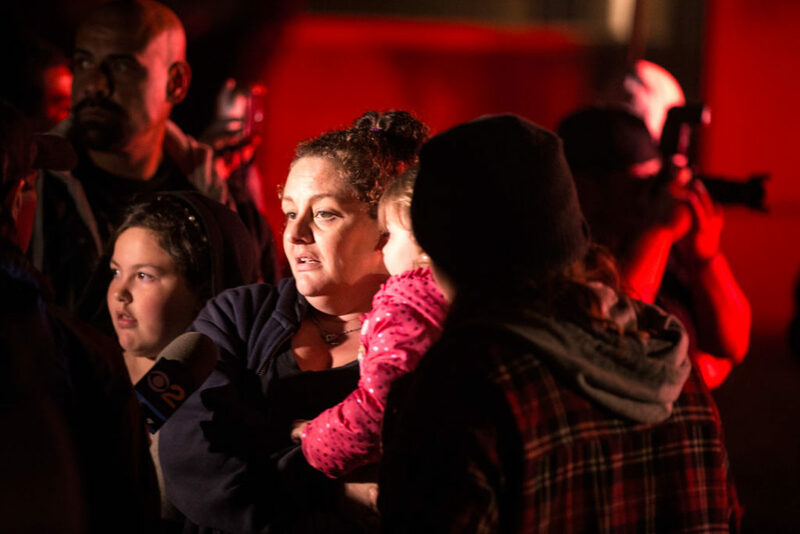 The Cessna 310, en route to San Jose from Riverside Municipal Airport, was carrying five passengers – a husband, wife and three teenagers heading home from a cheerleading competition in Anaheim – when it crashed, for reasons still unknown, into the residential area in the 6000 block of Rhonda Road. 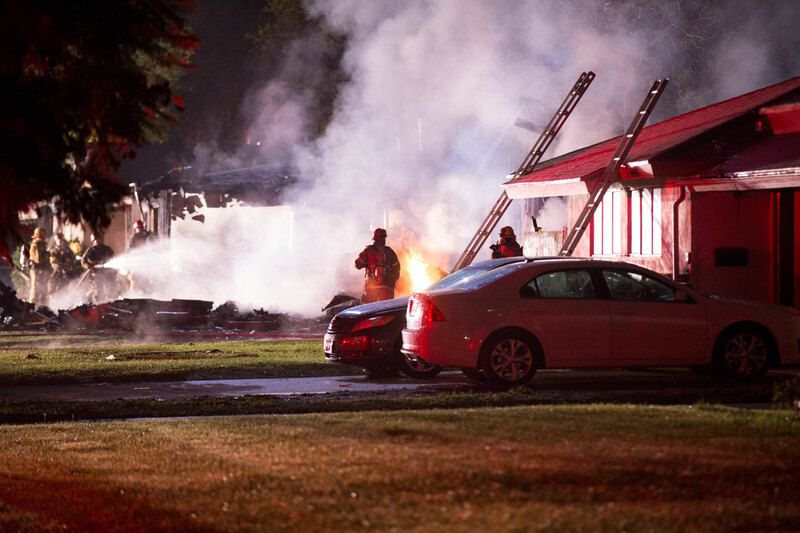 [Randy Plavajka | Banner] Firefighters douse any remaining flames in the debris of the crash. 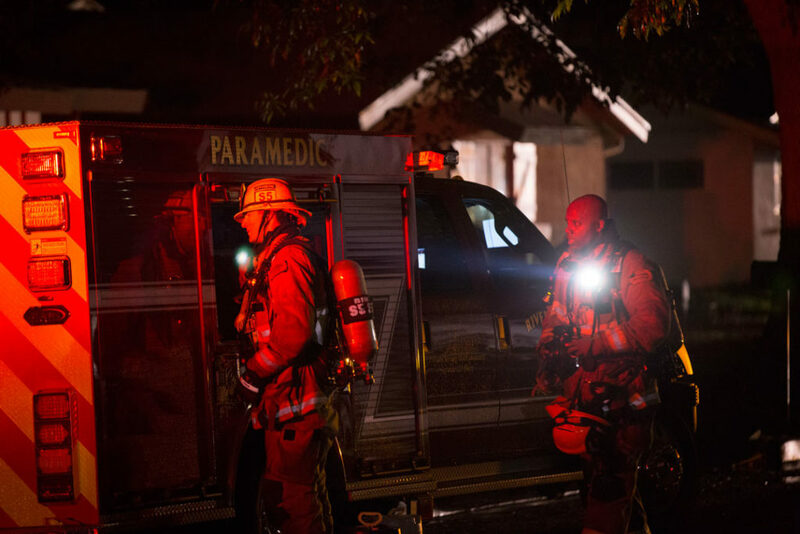 [Randy Plavajka | Banner] Firefighters discuss the next steps in clearing the debris. [Randy Plavajka | Banner] Assessment of debris is done while one firefighter continues dousing the debris. 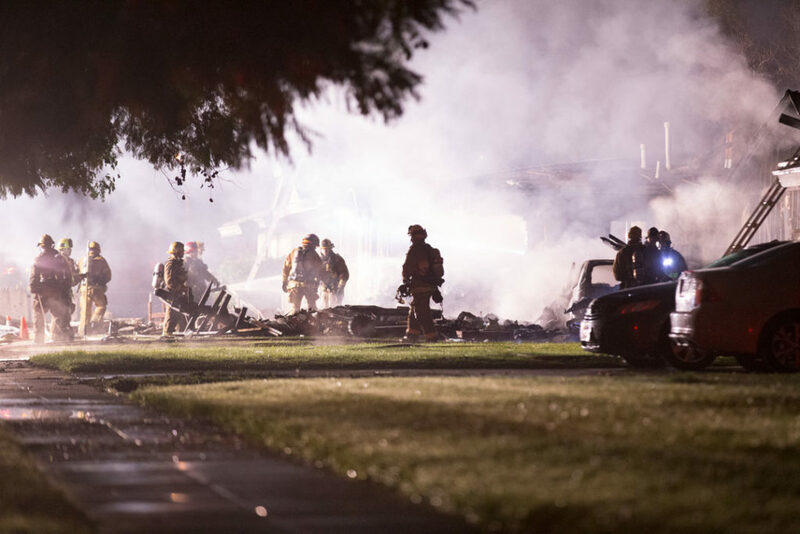 [Randy Plavajka | Banner] A crew of firefighters put out remaining flames from the plane crash. The plane initially clipped the first house, then crashed into the adjacent house, where flames began to engulf both the plane and surrounding houses. 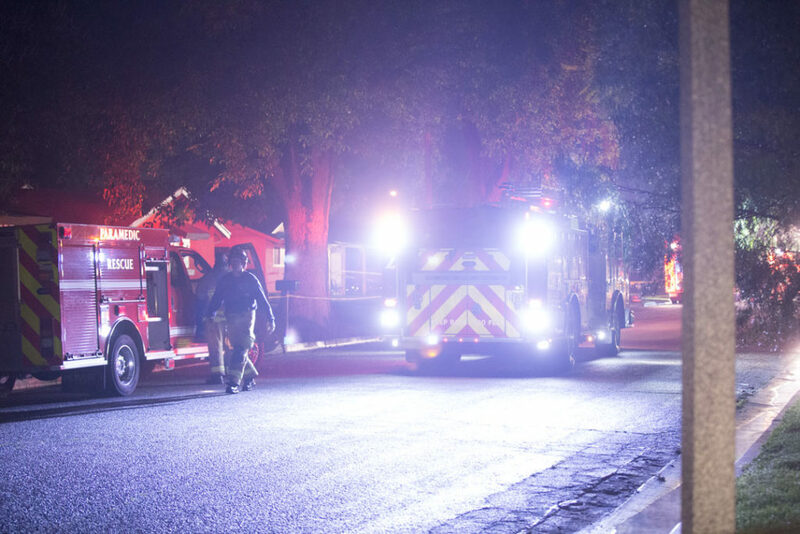 Two houses were destroyed and some neighboring houses received minor damage. According to the Riverside Fire Chief Michael Moore, one person is in critical condition and currently receiving treatment at Arrowhead Regional Medical Center in Colton. Moore also said one of the passengers, a teenage girl ejected from the plane and helped to safety by bystanders, survived the crash with only minor injuries and was taken to Riverside Community Hospital. During an evening news conference, Moore reported that the three casualties were passengers of the plane. 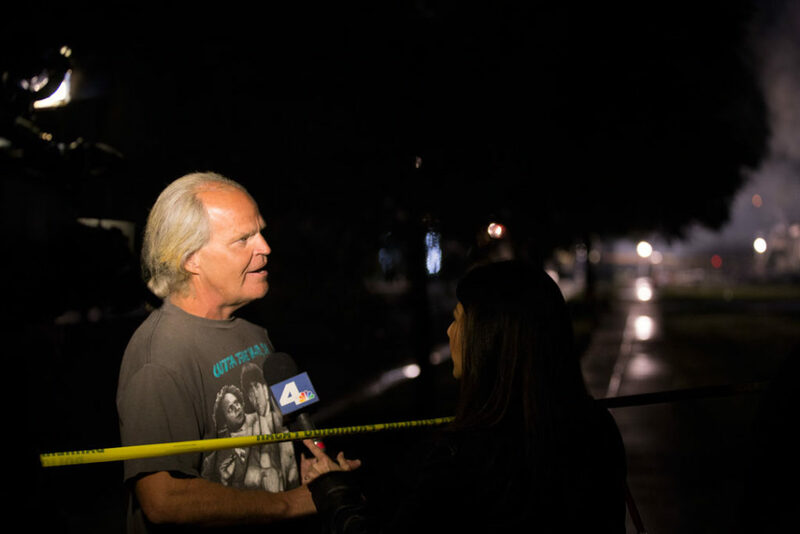 [Randy Plavajka | Banner] A resident of the Riverside neighborhood speaks with CBS about the plane crash. 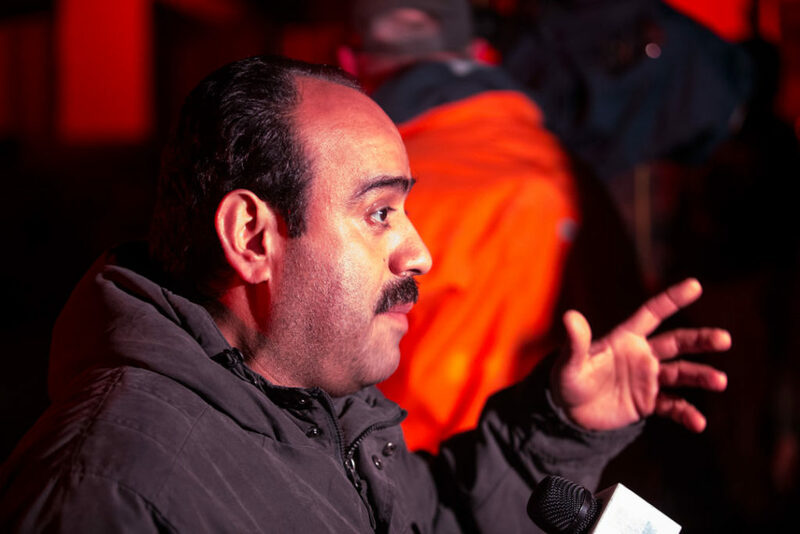 [Randy Plavajka | Banner] One of the witnesses of the plane crash speaks with reporters about what he heard and saw. 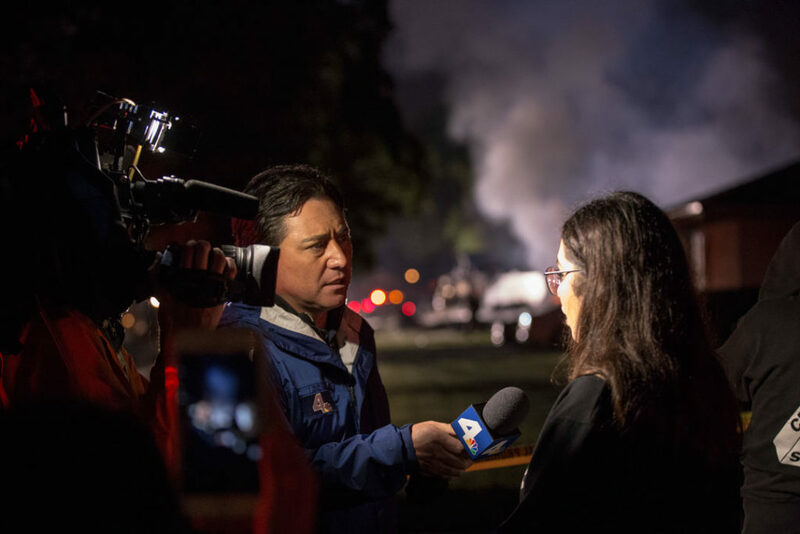 [Randy Plavajka | Banner] An NBC reporter asks one of the neighborhood’s residents about the plane crash and what she saw. [Randy Plavajka | Banner] One of the residents whose house wa affected by the crash speaks with NBC about the experience. 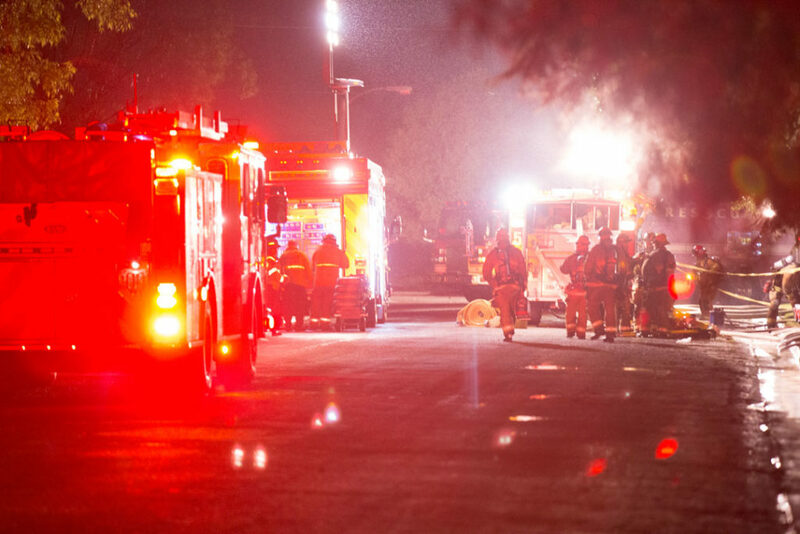 Jocelyn Campuzano, a 17-year-old student at Pomona High School, witnessed the flames after the crash. [Randy Plavajka | Banner] More than 60 firefighters were at the scene of the accident. [Randy Plavajka | Banner] Two firefighters unload their equipment back into the truck. 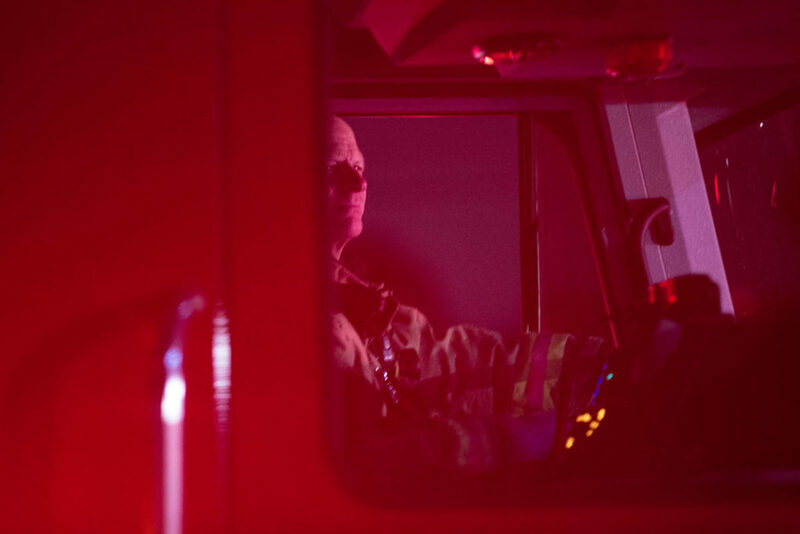 [Randy Plavajka | Banner] The driver of one of the fire engine’s looks at the scene of the accident. 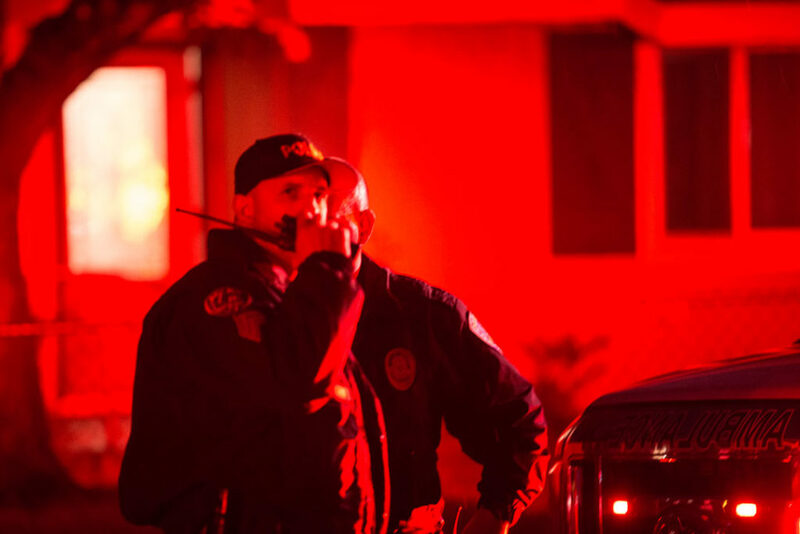 [Randy Plavajka | Banner] Riverside police officers coordinate the street closures. 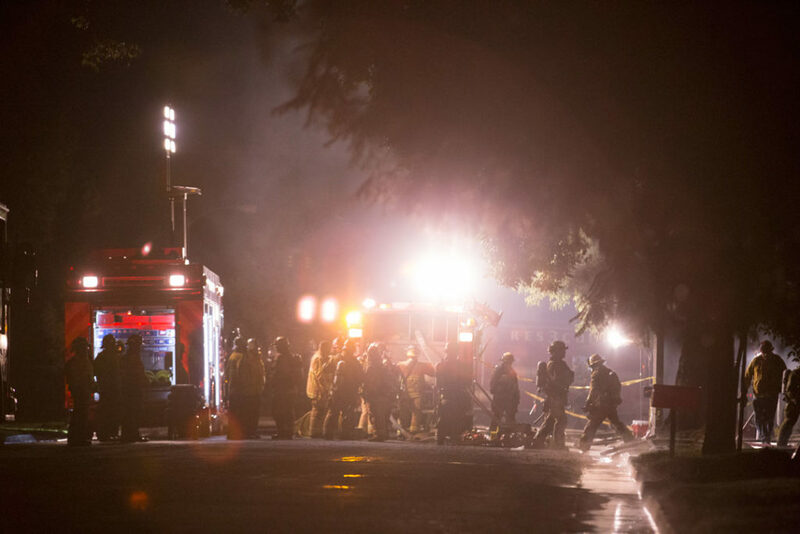 [Randy Plavajka | Banner] A crew of firefighters exit the scene of the accident. 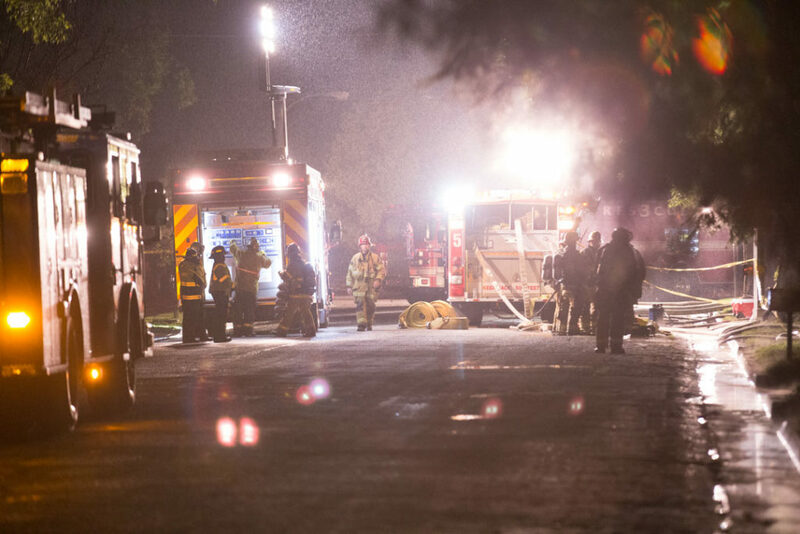 [Randy Plavajka | Banner] Fire crews regroup to assess the rest of the situation.